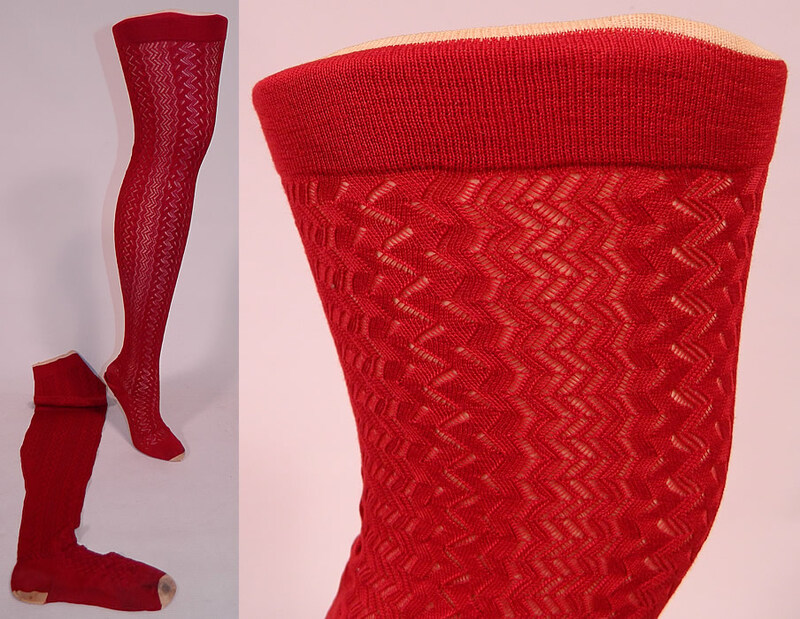 This pair of antique Victorian era red cotton knit chevron zigzag pattern thigh high stockings socks date from 1900. They are made of a red cotton knit fabric, with a sheer woven chevron zigzag pattern design. These ladies lovely long thigh high stocking socks have a ribbed band top with white stripe trim, white capped toes & heels and a back seam. The stockings measure 25 inches long, with a 9 inch long foot and 13 inch circumference at the top opening. 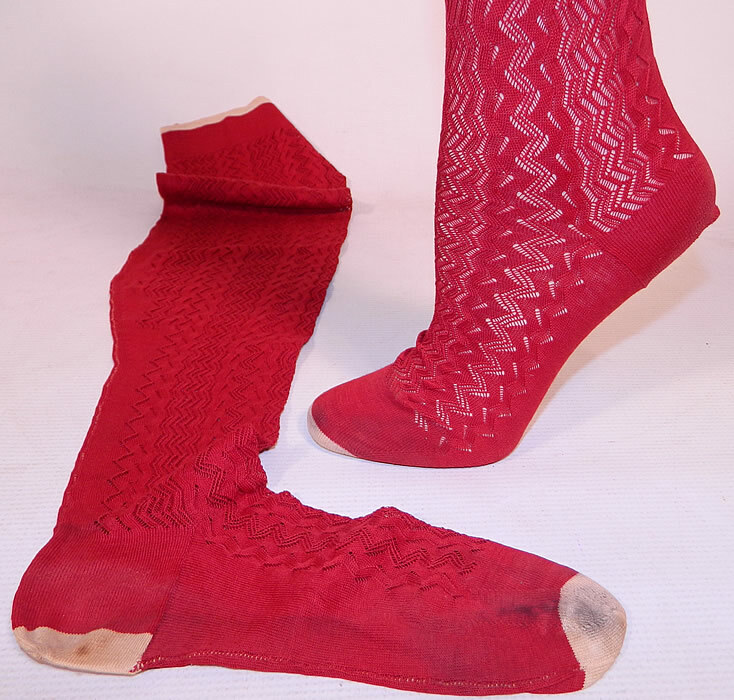 They are in good condition and have been gently worn, with only some faint staining on the foot. 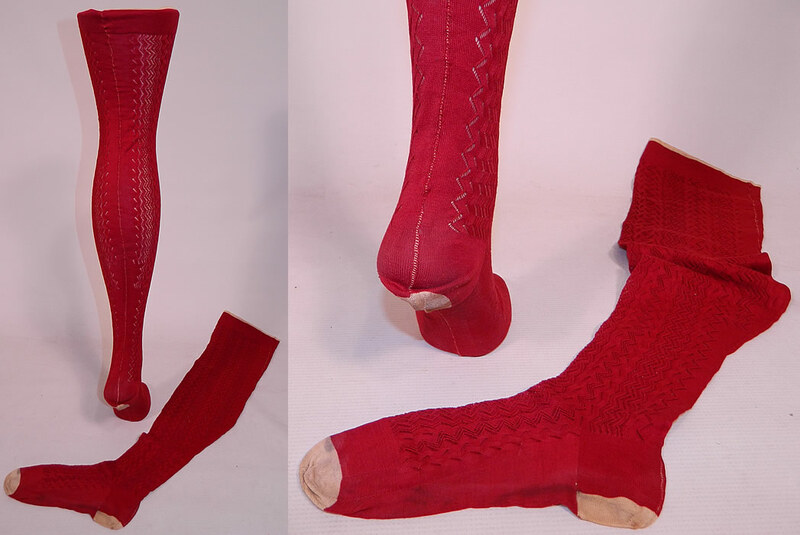 These are truly a rare red color and wonderful piece of antique Victoriana wearable art!